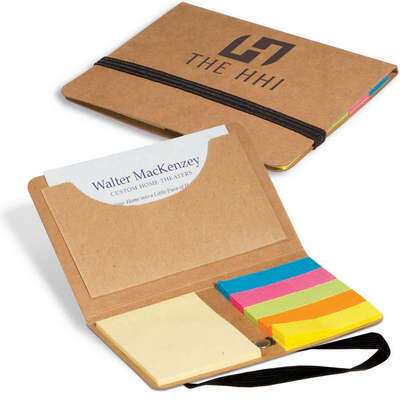 Includes five assorted sticky page markers and a 2-3/8"w x 1-3/4"h yellow sticky pad, all 25 sheets each. .
Cover made from 85% recycled cardboard. 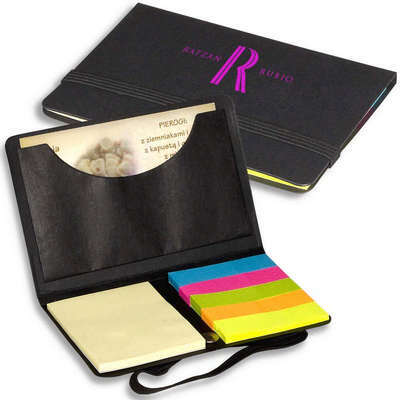 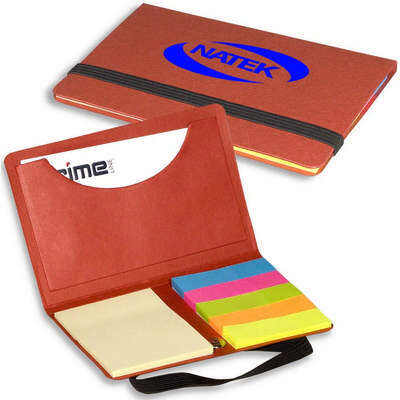 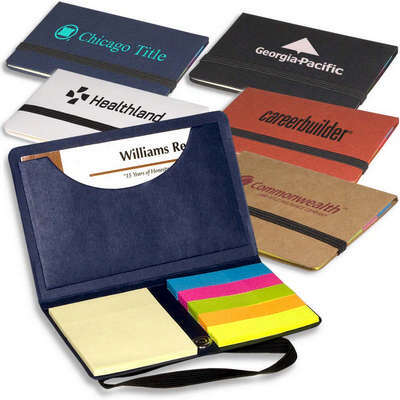 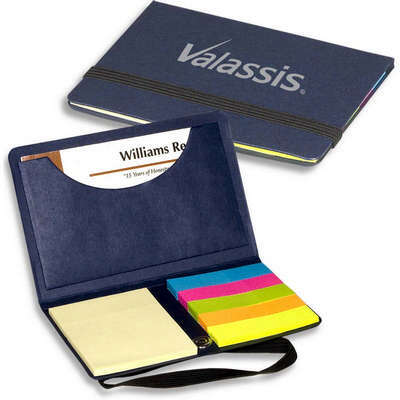 Features an internal business card pocket and an elastic closure. 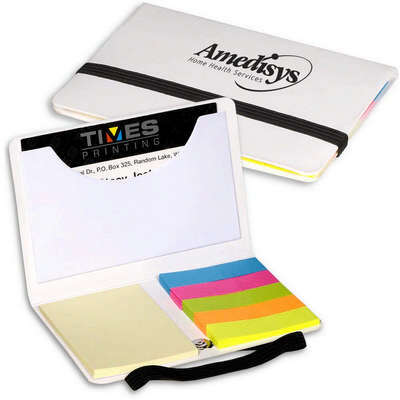 Includes five assorted sticky page markers and a 2-3/8"w x 1-3/4"h yellow sticky pad, all 25 sheets each.